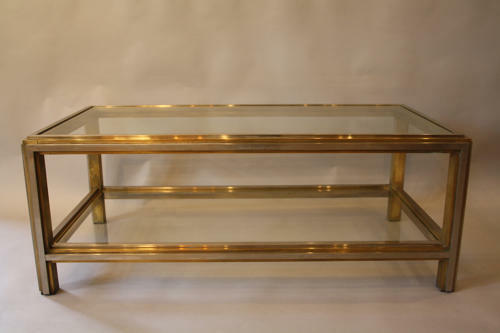 A well made silver and gold metal two tier rectangular coffee table with stepped frame detail. Italian c1960. A lovely solid piece.